We just got back from an amazing trip to a beautiful island with the most welcoming, kind residents! And after five days of drinking in all that gorgeous turquoise water and white, sandy beaches, who wouldn’t be inspired? So, once I got home, I set to work designing a new Nautical Birthday Party. And I’m totally in love with it. Now I just have to find an event so that I can use it. And an excuse to spend countless more days on the beach soaking up all that beauty. 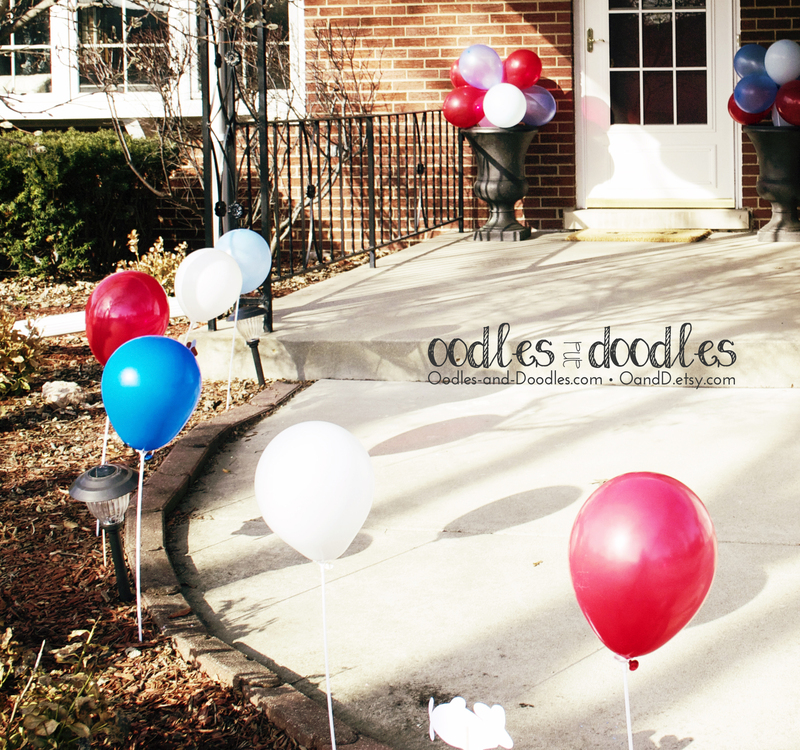 The full Nautical Birthday Collection is available at the OandD Etsy Shop and the Oodles and Doodles website. ROAR! Our Big Boy turned FOUR (with a DINO-MITE Birthday Party)! Birthday season is finally over in our house! One big First Birthday, four cases of strep, one broken finger, and finally a 4th Birthday. And now I’m tired! I mean… really tired! But the party turned out so well, that I just had to share all the details. Our son’s “ROAR! 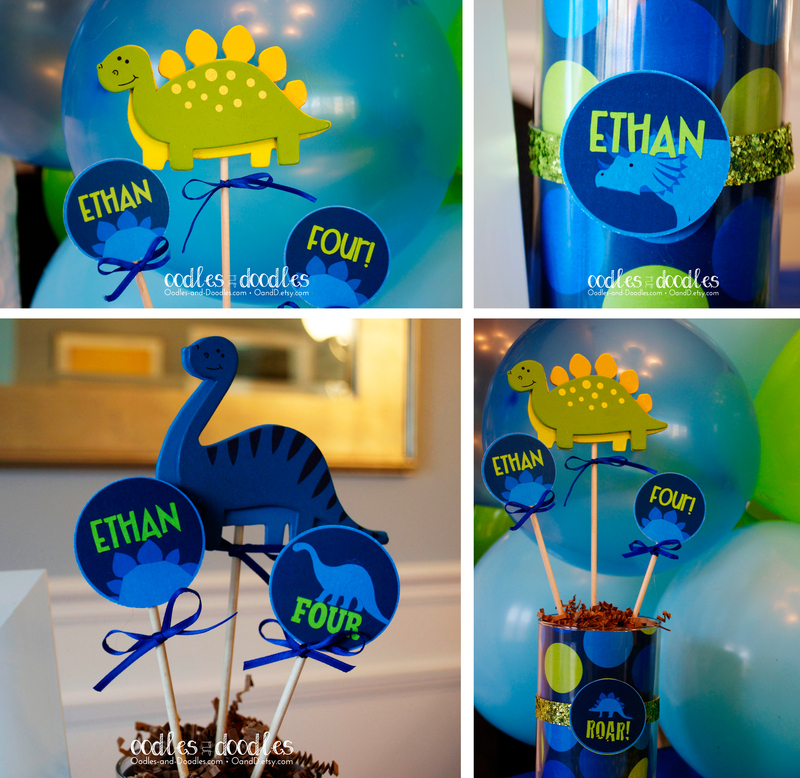 I’m FOUR” Dinosaur themed birthday party turned out great! It was, of course, designed by him. Every year, I ask him what kind of birthday party he would like me to design, and this year he said dinosaurs with lots of polka dots. Specifically BIG polka dots (and he wanted them pink.. but Mom overruled him on that one)! I got to work designing the whole party for him and started with the invitation. I’m so tired of the typical dinosaur theme full of drab green & brown, that I decided to brighten it up a bit and play with the words so that the dinosaurs appeared to be walking through them. And, of course, added a big photo on the polka dotted back. I love photos on the back of an invitation. Why not use that space? Once the invitation was designed, the whole party took form. Party signs, chalkboard posters, banners, cupcake toppers, adorable favors, you name it! And, some really great dinosaur activities for all the kiddos. Our big guy’s birthday was right after Easter, so we took advantage of that and stocked up on a lot of white, plastic Easter eggs and filled them with really great dinosaur crayons from Etsy. They were just perfect! Packaged them all up, added the favor tags and viola! Perfect and super easy… and more importantly … adorable. Here are just a few photos of how the favors turned out. And there were lots more decorations… party signs, chalkboard posters, and really simple diy centerpieces made from my digital patterned paper and cupcake toppers all available in the birthday party kit. You can find a tutorial on how to make the centerpieces from my party tips post. Here are a few photos of the banner (with a dinosaur crawling through each letter), party signs, and dinosaur party hats. The hats were so easy to make! All you need is the printable party hat, glue, and some foam cut into triangles and glued up the seam of the hat. Super simple and so cute! 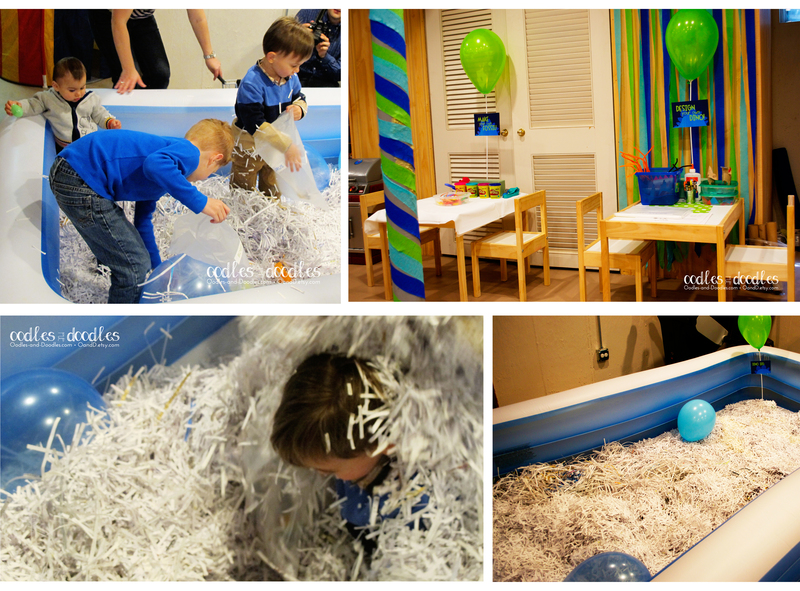 Our big birthday boy had a DINO-MITE time… and so did everyone else. The party was a big hit! I’ve been told that I should start working on a rocket party for next year… so stay tuned! 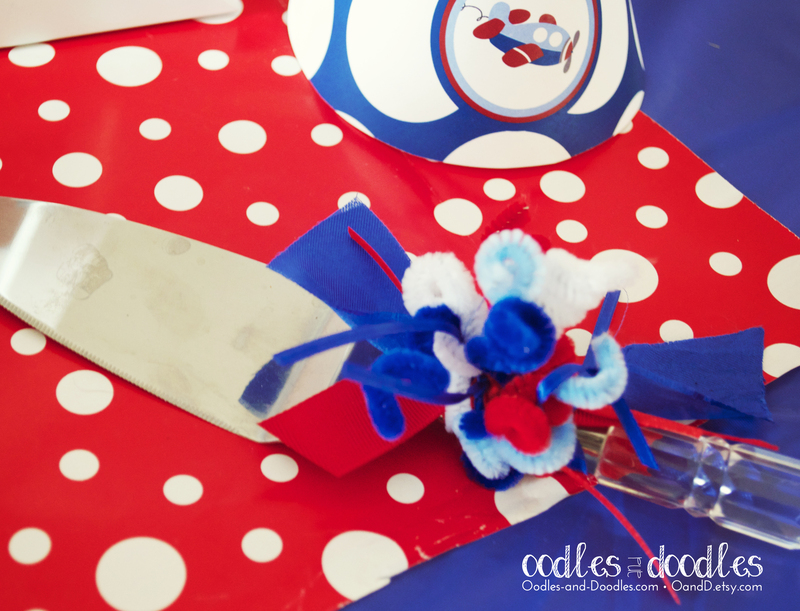 All Party Printables were designed by Oodles and Doodles and are available in the OandD Etsy Shop. Oh how time FLIES when you’re turning ONE! It’s birthday season around here, and we kicked it off with the biggest one of all! 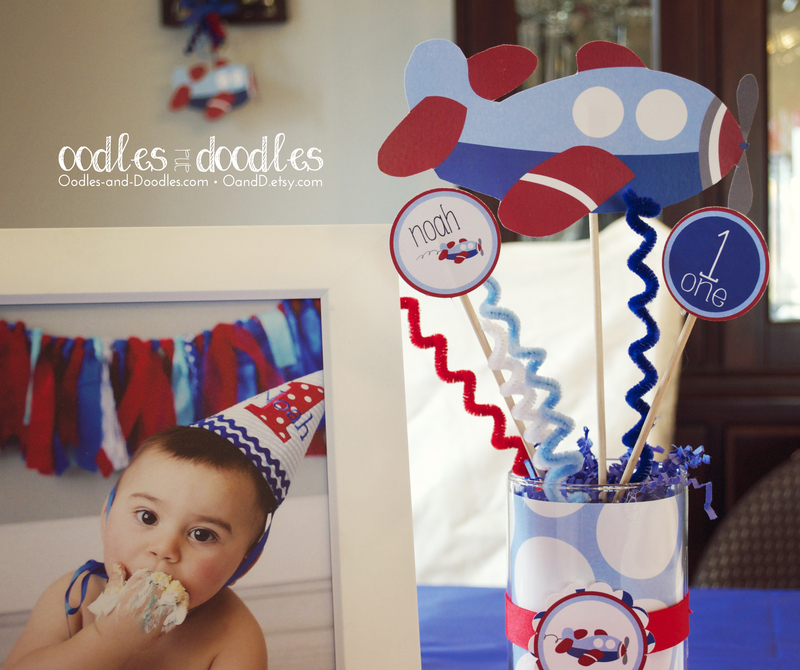 Our little guy just turned One and celebrated in style with an airplane-themed party designed just for him. Now, as you can probably imagine, birthday parties are a super big deal in our house. Months of preparation, lots of obsessing over little details, and lots of shopping go into it. (And maybe, just maybe, lots of eye-rolling from my husband). So after all that thought, planning and hard work, I thought I would share some photos of the party … and more importantly some of my favorite party styling tips. But first, some photos of our little guy’s big day! I can’t believe how fast the first year FLEW by! Of course, I love them! After all, I spend a good amount of time designing them. But, honestly, they’re the best. Super easy, inexpensive, really versatile, you can print as many copies as you need… Pretty much the only way to have a completely custom, pulled together, DIY party. 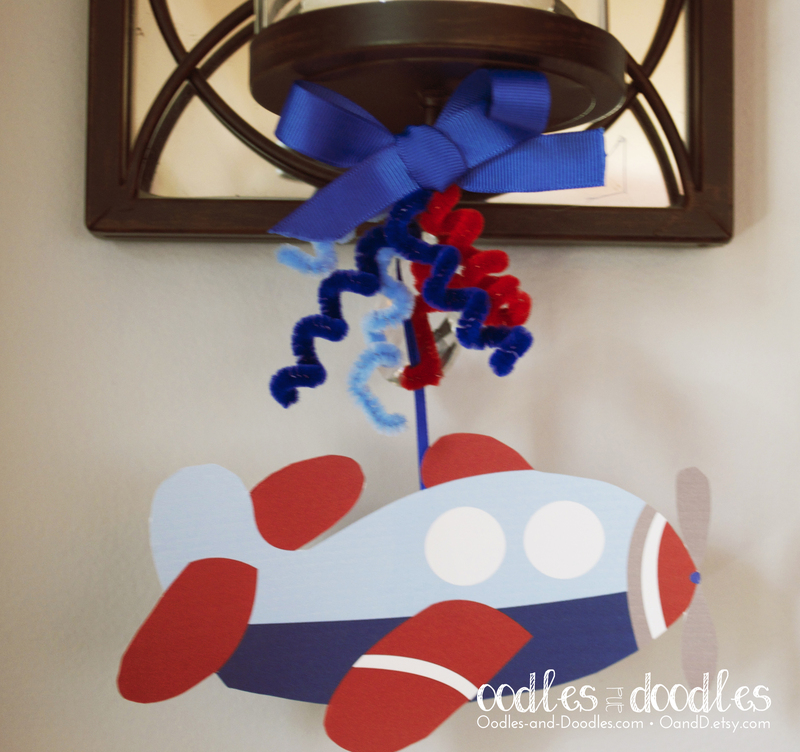 For this particular party, I designed an airplane theme centered around how fast the first year flies by (because it does)! And so my starting point was creating a sweet invitation with a photo collage on the back highlighting all of his milestones this past year. Because, honestly, you never really tire of looking at baby photos of your own kids, do you? Wrapping paper is one of my best kept secrets. Actually, come to think of it, I think it was my mother’s brilliant idea. So here’s the great part about wrapping paper… it makes an awesome table runner. It looks adorable, is super inexpensive, can be thrown out when the party is over (especially with all those little chocolate-covered fingers running around near the cake table), and can be used long after the party.. you know.. as wrapping paper. Oh, and you can always wrap your child’s gifts in it and will get bonus points for being uber-coordinated. Plus, I use wrapping paper all the time to line the inside of glass vases to make centerpieces, too. This is literally a tip that I use for every party I’ve ever thrown whether it’s in a house or a restaurant. It’s so simple. So here’s a photo of our son’s party with the wrapping paper (red and white polka dots) over a cheap blue plastic table-cloth. And the best place to buy it? Hobby Lobby at Christmas time. They have the best, thickest paper. 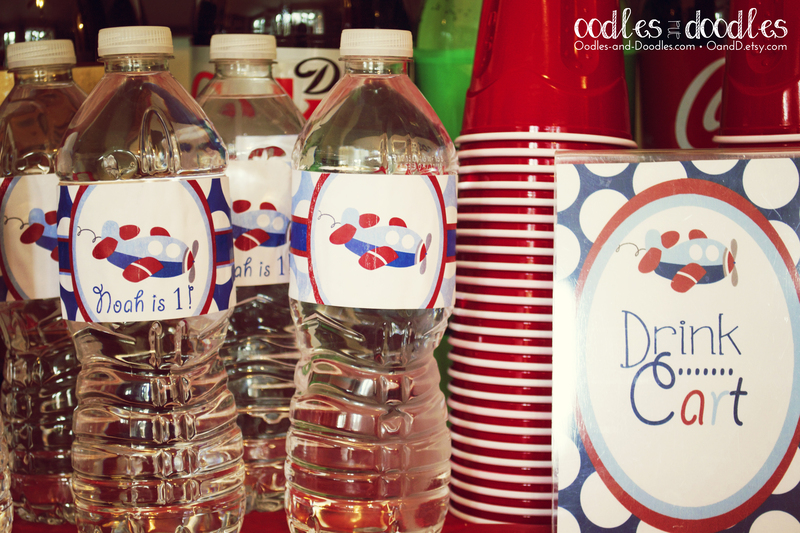 (And most of my party kit designs include polka dots, so you can pretty much always find something to match). The Container Store is a good bet too! 3. Pipe Cleaners to Decorate … pretty much everything! Ok, so I’m slightly obsessed with pipe cleaners. Remember in school, when you used to “curl” them around a pencil? Yep. That’s me. Still doing that. But now with my 4 year old. He loves it too. So I use pipe cleaners to decorate pretty much everything… in centerpieces, on cake cutters, to tie favor bags, as extra decorations, you name it. 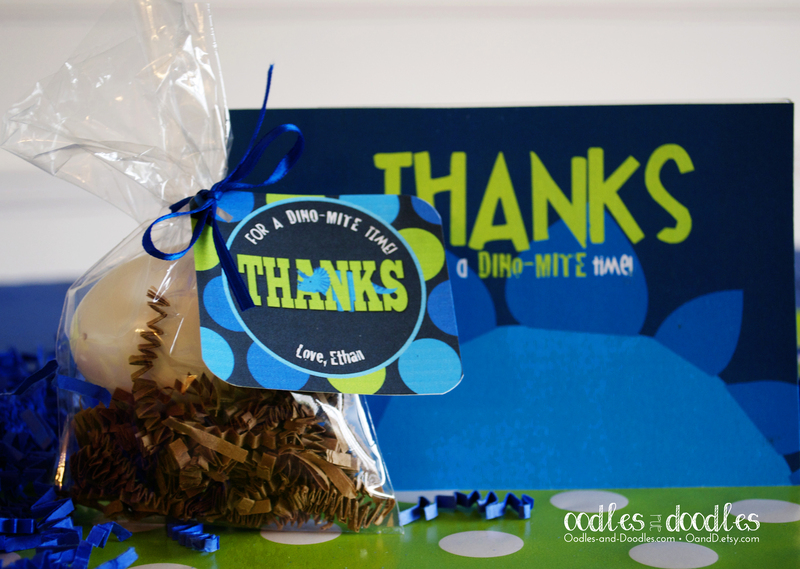 I firmly believe you can’t have a great party without sending your guests home with a sweet little favor. And so, this is usually one of those details that I obsess about for a long time trying to come up with the perfect, most creative idea. And for this party, I hit the jackpot! The most adorable printable suitcase favor box by Claudine Hellmuth. I’m totally in love with these. They are, of course, stuffed with hershey kisses in homage to our Chicago airport’s “kiss ‘n fly.” Super adorable, simple, and inexpensive. 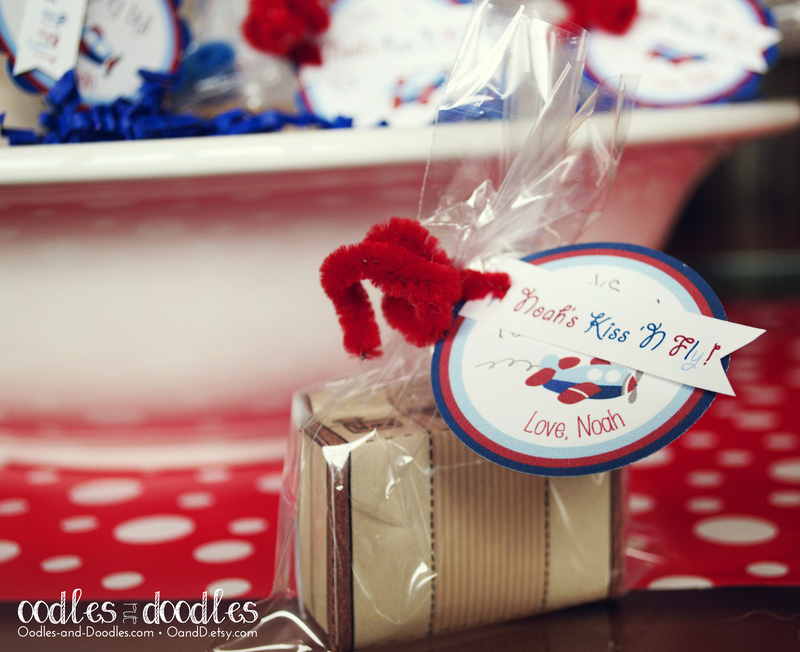 Each suitcase favor box is packaged in a clear bag, tied with a pipe cleaner and personalized favor tags from my Airplane Party Kit (along with a little extra flag in there too). You can never have too many tags. And, of course, there’s the perfect “Baggage Claim” sign from the kit to go with it all. Yup, those. Now I have a ton of clients that never bother to use them. Totally a mistake. They can be used for lots of things! First, of course, as actual water bottle wraps. And here’s the tip for those: 1) don’t actually place on ice (they may run) and 2) print on Avery full sheet labels. The entire page is sticky, so you can use it for any shape or size that you want and don’t have to worry about margins. Genius. Or, honestly, you can totally print them on white typing paper and glue the ends together. It’s not exactly rocket science. But.. I use them all the time as wraps around vases. Or, in this case, as wraps around some bar glasses to hold all my plastic utensils. Of course you have to decorate those too! This is another one of my favorite secrets. Nearly every party kit that I design includes digital patterned paper. And I don’t think most people know what to do with it. It is the BEST! First, it’s included in kits so it matches everything perfectly. Next, you can print it just like normal and cut out any shape/size, etc. that you want (think: envelope liners, drink flags, cake bunting, back liners, etc). But, my two favorite uses: 1) stringing multiple sheets together with cute ribbon and making a table runner out of it, and 2) lining centerpiece vases. I think I pretty much use that trick at every party. All you need is some cheap dollar store glass vases and a bit of creativity. So here’s the centerpieces from this year…. matching digital paper printed and placed inside a glass vase, some shredded paper over a bit of styrofoam at the bottom of the vase, wooden dowel rods, cupcake toppers, an airplane graphic & ribbon. You can find the super simple tutorial here. Oh, and those Airplane party hats. Those don’t really ever stay on little heads for very long, so why not use them as table decorations? You have to have balloons at a kid’s party. That goes without saying. BUT… I really despise having to go pick up helium balloons on the day of the party when I already have twenty million other things to do. So this year I decided that I was going to skip the helium (but in no way sacrifice the decor). And so I discovered balloon topiaries and balloon sticks. Now, I always thought that balloon topiaries were beyond me. I mean, I’m crafty but I have my limits… and I kinda assumed that was my limit. Totally wrong on that! So EASY! I mean so EASY! You can find tons of tutorials online, but basically you just tie two balloons together, make a bunch of those, and then twist them all together into a ball. (I know.. right… that should be way more complicated… ). Apparently each topiary takes 12 balloons, but I was short, so the one in the photo is made of only 10. 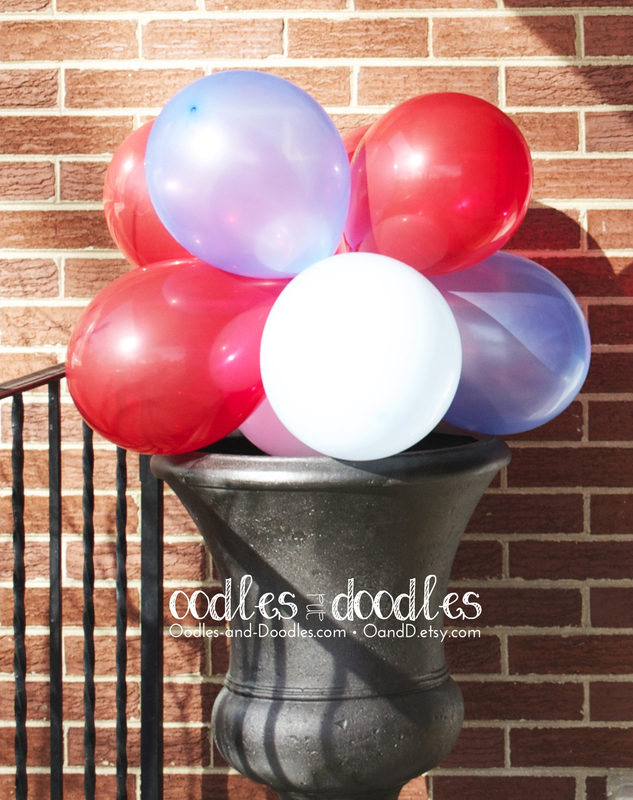 Then I shoved a balloon stick in the bottom (found those at Hobby Lobby), and tada! I’m making these for every party from now on. I’ve finally found a decoration for those big urns outside our front door. And, those balloon sticks completely fascinated all the kiddos since the outside balloons were finally at their height. And not one ounce of helium. Genius. 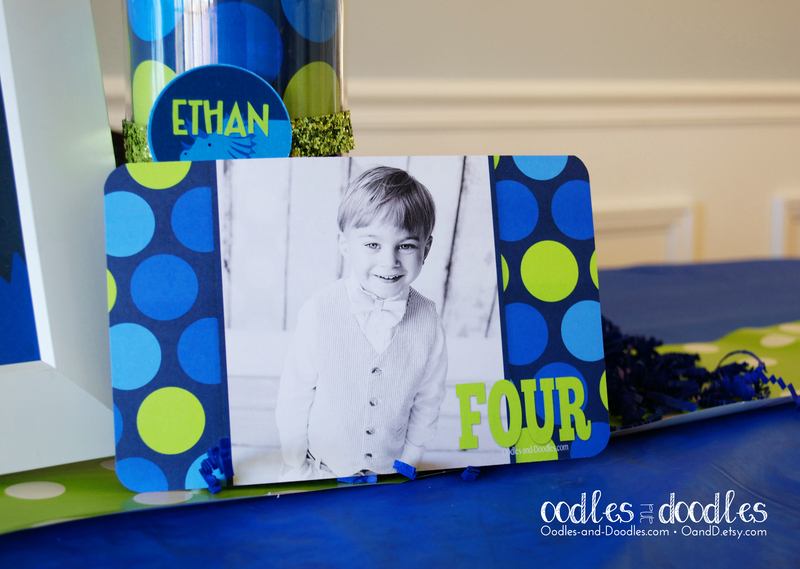 Who doesn’t love a cheery, bright invitation adorned with their child’s big smile? Introducing the new line of striped photo birthday invitations and thank you cards… colors can be matched exactly to your photos and wording can be personalized. Now what’s not to love about that? Stop by the Etsy shop to check out the Birthday Girl’s Vintage Pink & Gray striped invitation, the bold Blue & Green Boy’s Birthday invitation as well as the coordinating thank you photo card. Planes, Trains & Automobiles… Oh My! 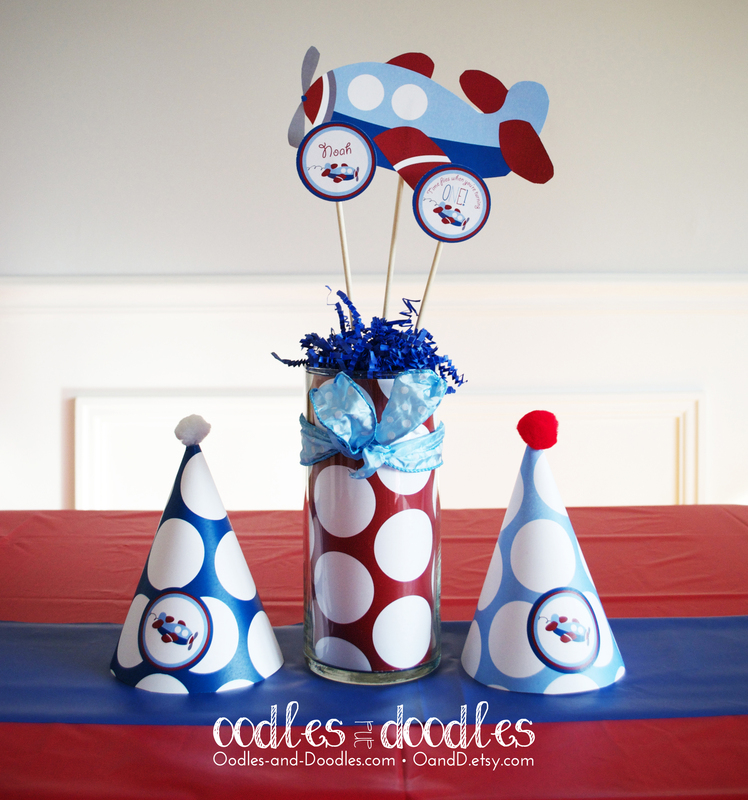 I’ve been hard at work designing a very special Transportation Party theme for a growing little boy. This little man LOVES anything with wheels, and what better way to celebrate than with all things that MOVE! 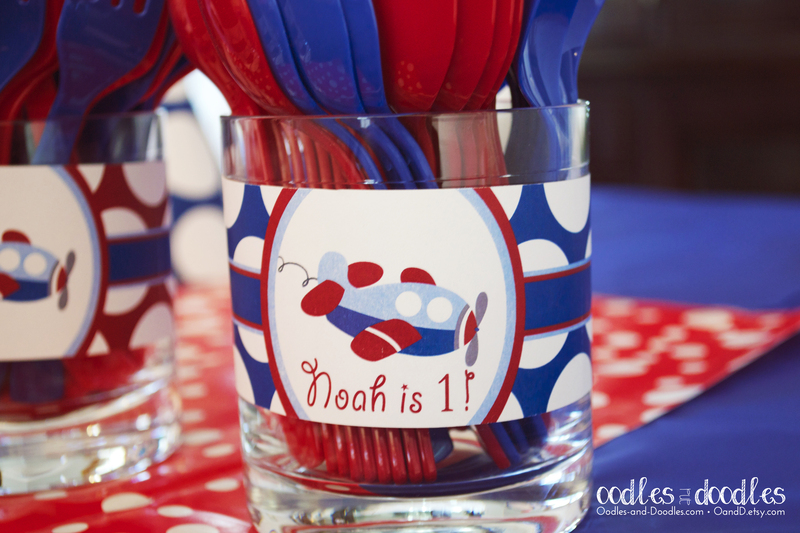 Planes, Trains, Dump Trucks galore… all combine to create the perfect party theme for a special little boy. And since we can’t just have a bunch of trucks, we’re celebrating this party in style with an alphabet art twist. 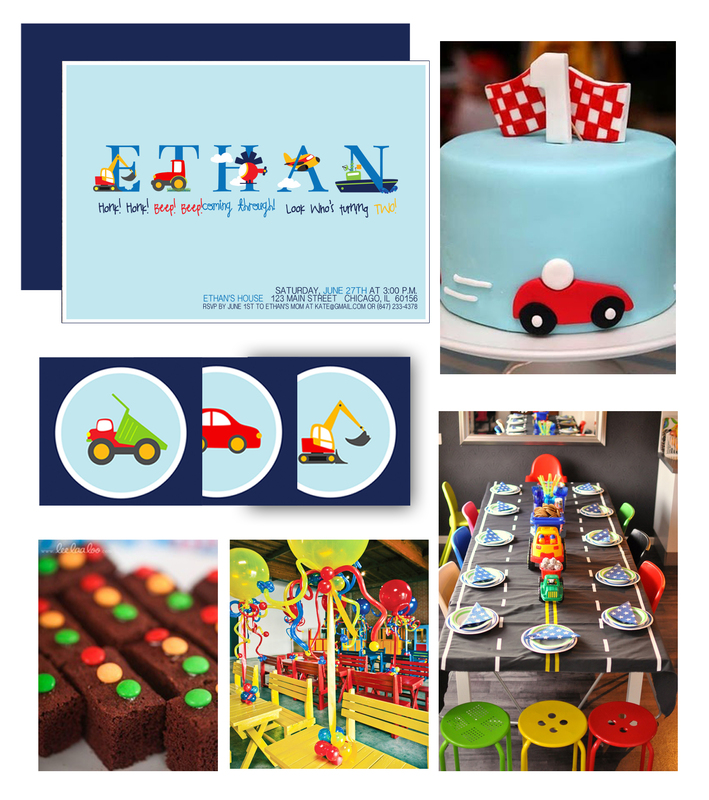 Each letter corresponds with a different transportation graphic for a clever twist on the ordinary construction party. 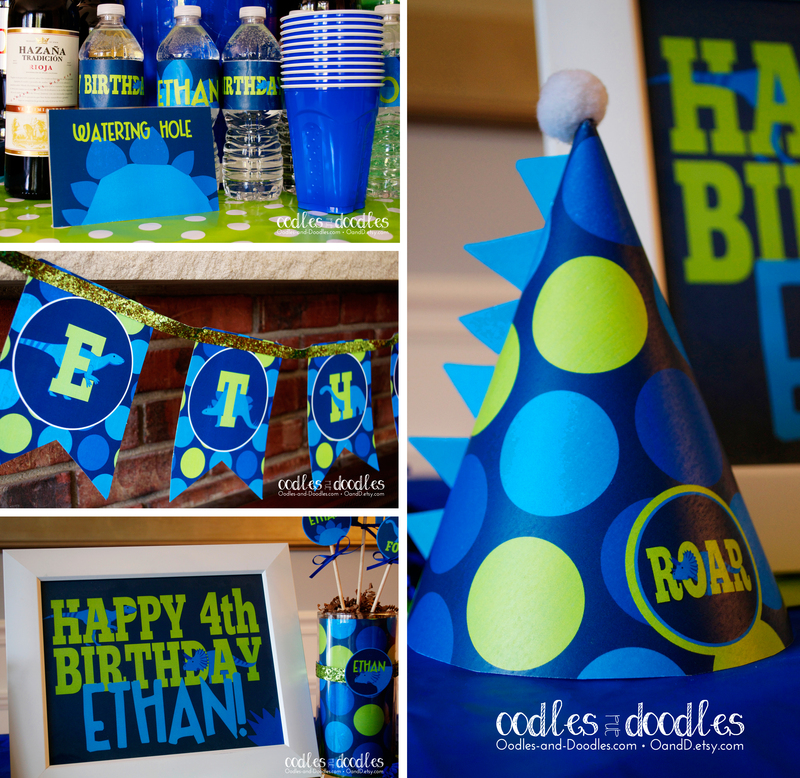 Check out the full Transportation Boy’s Birthday Party Package along with a bunch more party styling tips to help you create the perfect party on wheels! Calling all Little Monsters for a Big Birthday Bash! Calling all Little Monsters for a Big Birthday Bash! 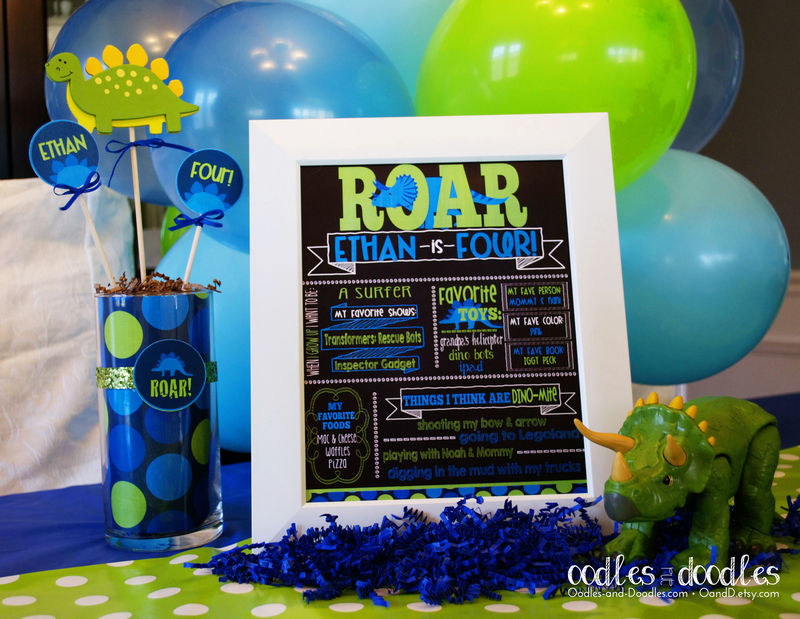 This printable birthday party package contains tons of digital goodies for that special little boy. 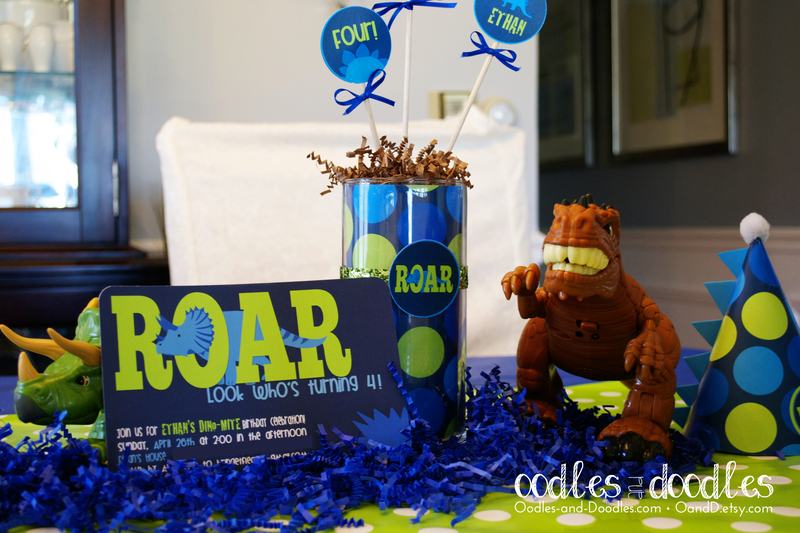 It includes a monster Happy Birthday banner, an adorable invitation and personalized thank you note cards, cupcake toppers in 3 designs, water bottle labels in 4 designs, blank tent cards for food labels in 4 designs and personalized favor tags in 3 designs. Go here to view all the details and check out this Pinterest Board for more fabulous monster party ideas.